Why buy Paper & Card from contact packaging? 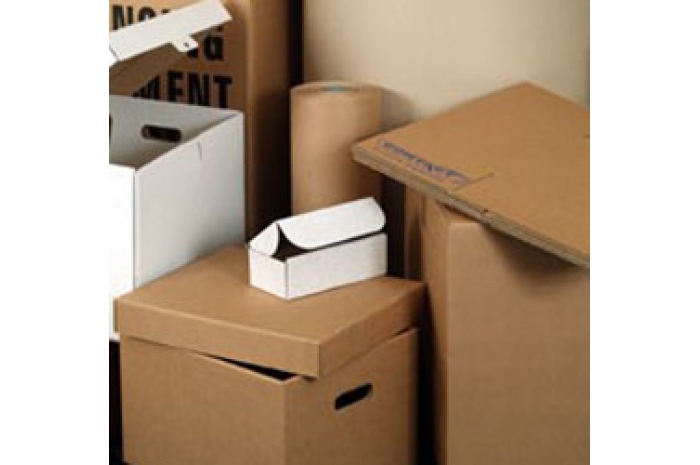 Are you making do with your current supplier's stock boxes? Then having to fill your carton with messy void fill? As well as catering for the volume market, we can produce cartons in small quantities at your own specified sizes. Whether it be for plain or printed, conventional or heavy duty, die cut or regular slotted, we can meet your every demand for boxes. Ideal for heavy goods or those at risk of damage through the use of knives or carton openers. These boxes are easily opened using a pull tab. The box top can be removed and the product remains in a display tray. Take the headache out of transportation and storage of documents with a range of standard sizes. Extra protection for high value or fragile items. Make your packaging work for you by printing your sales message on your cartons. Our excellent facilities can print cartons in up to three colours. Made entirely from reclaimed paper and fully recyclable. Available in any size from 75mm - 1950mm. A strong brown ribbed kraft paper manufactured from 100 percent cellulose wood pulp from environmentally aware, farmed forestry sources. Used for general wrapping where high burst and tear strength is required. Ideal for interleaving where a clean smooth surface is required. A recycled brown plain kraft manufactured from a 100 percent waste based furnish containing a high proportion of post-consumer material. Imitation Kraft is a cost effective wrapping medium. Two layers of brown kraft paper laminated together with bitumen. Used for waterproof wrapping & export packaging. Also available in 165gsm & two way reinforced 145gsm. A pure kraft paper coated both sides with paraffin wax. Ideal for steel wrapping & metal parts packing. Waxed bleached kraft is also available for food packaging. Acid Free & Cap Tissue. Supplied in reams for the wrapping & interleaving of clothing, glassware & aluminium. Crepe Kraft Rolls. Produced in 75mm rolls for easy wrapping of pipes & furniture. Available in 650mm x 75m rolls or sheet form for pottery & fruit protection. edge protection enhanced load stability protection from strapping prevention of stretch film rupture added stacking strength an be printed available in lengths up to 4 metres can be supplied notched on one face, to cope with irregular shapes, i.e. drums, plastic mouldings. Spiral wound postal tubes are a great way of distributing delicate rods & pipes, posters, calendars and other point-of-sale or advertising merchandise. As well as being able to supply a size to suit your individual needs, we also carry a stock range that will suit many popular applications. They come with a white kraft finish and include white plastic plugs.